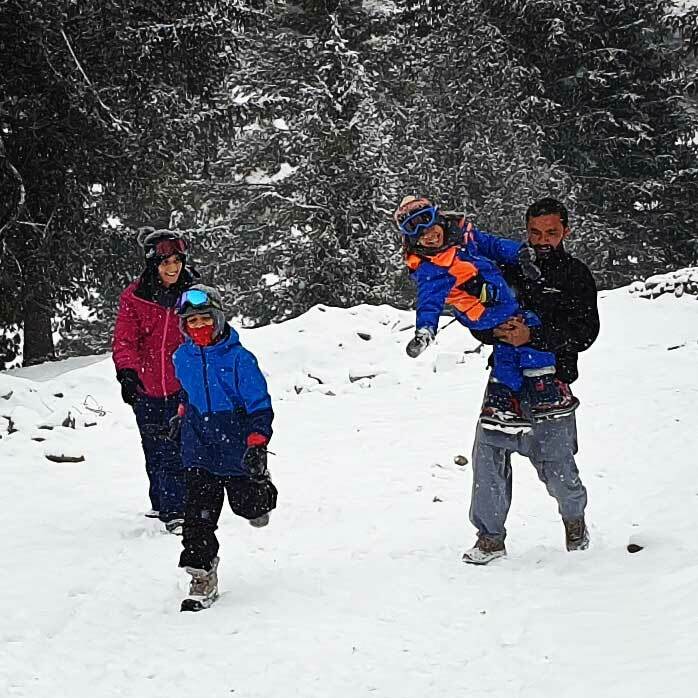 This winter, Monis Rahman and his family decided to forgo their skiing spot of choice in the Alps to explore Pakistan’s Naltar Valley and its skiing facilities. 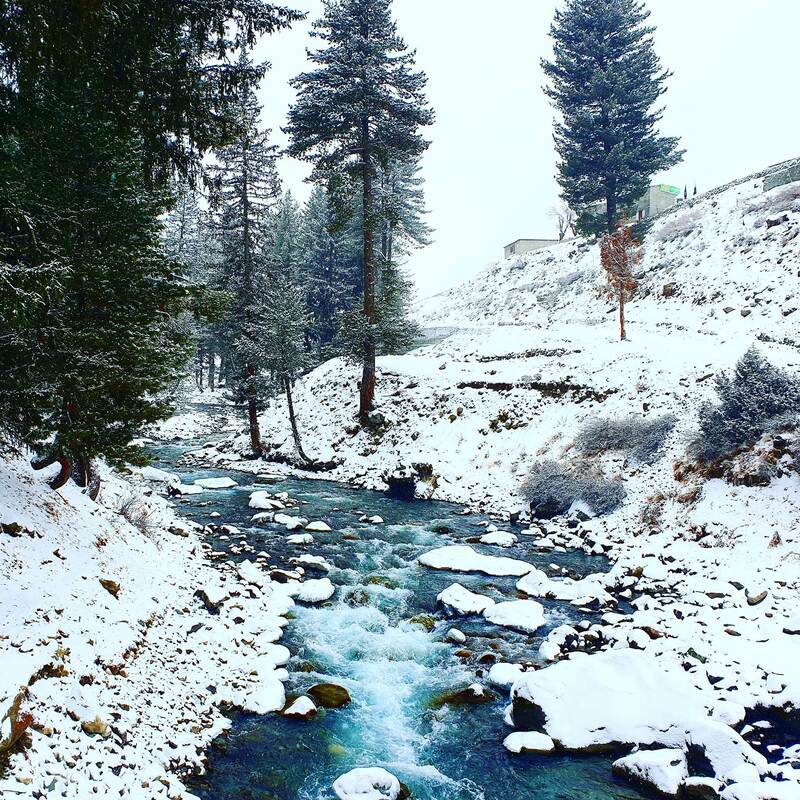 Read on to discover the how and why of this fun-filled trip to a winter wonderland. Was this your first trip to Naltar Valley? How would you describe the place to potential visitors? Yes, this was our first trip to Naltar and the first to Gilgit and Hunza as well for that matter. Naltar Valley has incredible raw beauty with picturesque mountains, flowing rivers and unpaved roads. Reaching it is a bit of an adventure, but that just adds to its charm. 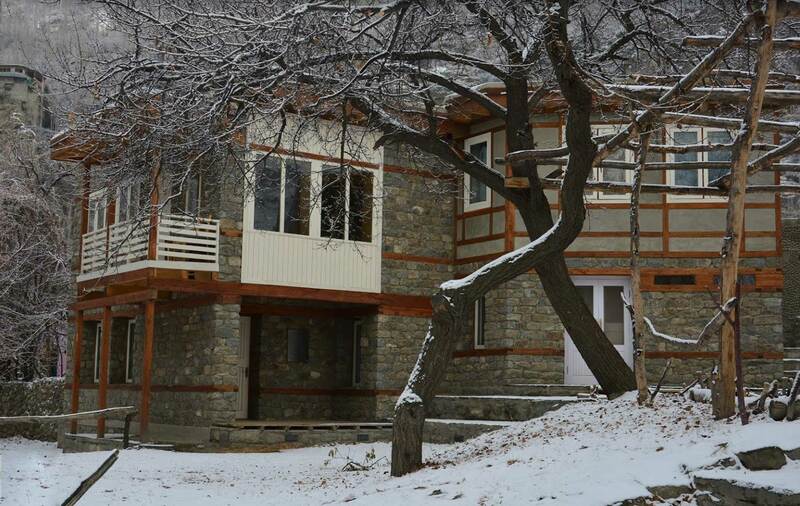 It is located between Gilgit and Hunza (Karimabad), off of the Karakoram Highway. The last stretch is a 45-minute drive in a jeep or four-wheel drive on the steep unpaved rocky Naltar Valley Road with a river running below it. Once you reach Naltar Valley, you are filled with a sense of accomplishment and awed by the gorgeous scenery around you. Was it a family trip? How many people were part of it in total and how many days did you go for? Yes, this was a family trip. We were a total of five people, two adults and three children aged 11, 8 and 5. We went for a total of four nights and five days. Why did you choose this time of the year to visit, given the challenging weather conditions up north? We usually go skiing during the winter holidays in the Alps. This year we decided to be a bit more adventurous and try skiing in Pakistan. 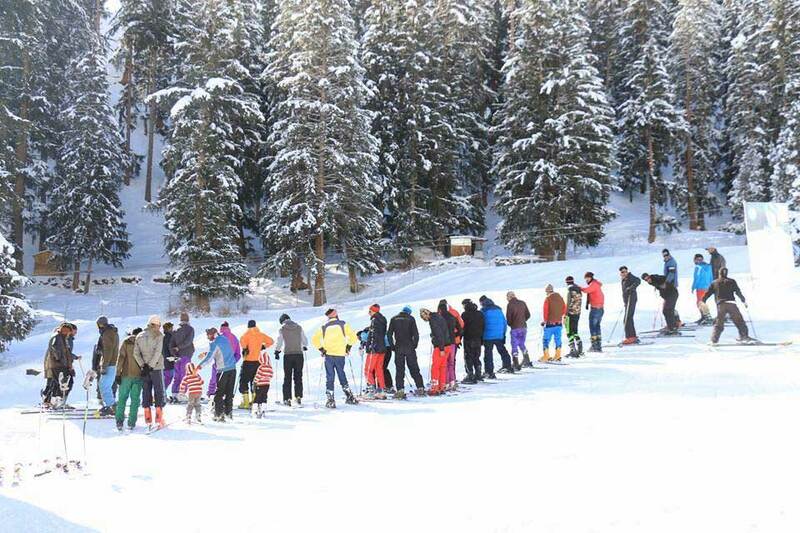 We had heard about Malam Jabba and upon further research learned that Naltar Valley had the best local facilities and a longer ski slope. Our main consideration was ensuring that there was enough snow on the slopes and Naltar Valley has snow machines to create snow which was reassuring. It was one of the best family vacations we had – because the adventure and discovery left us all with a sense of awe. Naltar was snowed out in the winter; what special preps did you have to make in terms of travel essentials and logistics to factor in the weather? Because we were travelling with children, we ensured we had proper warm layers and gear. Secondly, it was important to have good transport with four-wheel drive so we rented a Prado, which are quite common in that area. Where did you stay and would you recommend it to others wanting to go? 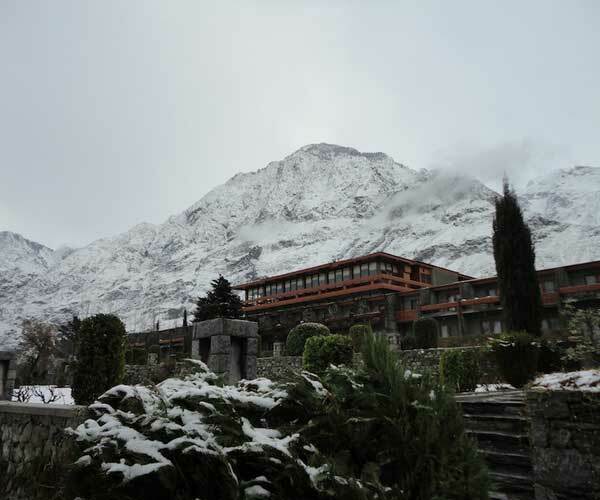 We stayed at the Serena Inn in Karimabad for two nights and the Serena in Gilgit for two nights. Both are great, with excellent heating and hot water hence a safe choice. However, I would love to try more local indigenous places if I go again without family. How would you compare Naltar, its landscape and its peaks to skiing resorts in other parts of the world? Does it have the potential to be developed as a tourist attraction? The ski slope at Naltar was good. We enjoyed it. And the landscape, coupled with the rustic village setting, adds to its charm. They have at least two snow blowers to produce snow and a grooming mobile to flatten the slopes. The tow lifts are very practical once you master them. They rarely operate the chair lifts which goes to the very top so we had mid-slope runs. With some investment and proper management catering to tourists, the area has incredible potential. It’s currently not built to handle a large number of tourists and is a private air force facility which accommodates visitors on request. I can very easily see it reaching international resort levels with visionary investment. There is only one piste (run) so for advanced skiers it may get boring after a while. International resorts have several dozen lifts and runs which form maze-like trails. Several runs can be added in Naltar if there is a will to do it. So while we thoroughly enjoyed the experience, international ski resorts are quite a bit more organized, structured and have a much greater variety of runs. We would still do Naltar again because it’s close, much cheaper and has its own beauty. 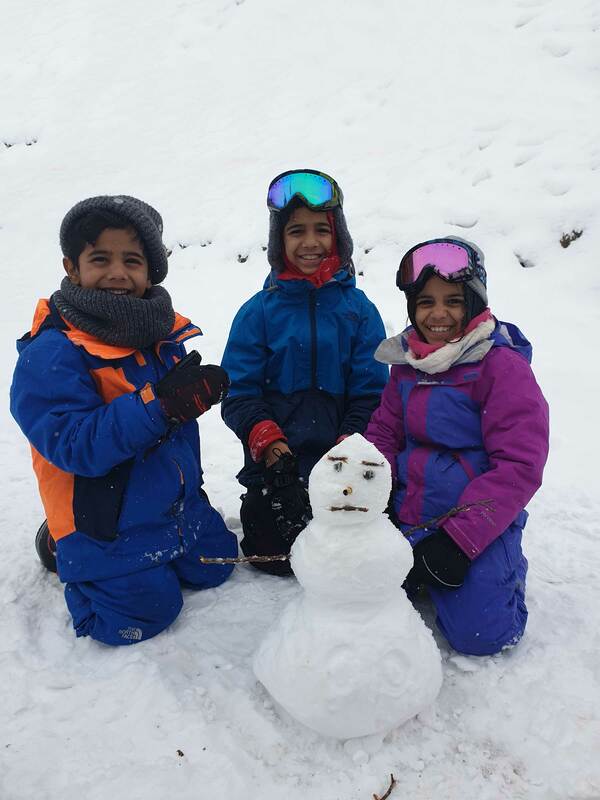 One of the two most memorable things was building a snowman with the village kids in Naltar while we waited for the tow lift to start running. The other was having hot Dowdoo soup on the road side in freezing cold weather near the Hussain Bridge followed by a snowball fight. The most challenging was reaching Naltar on Naltar Valley Road after the snow storm. Any travel tips for those looking to travel up north in this weather, especially with children? Make sure you have warm clothing, a jeep or a four-wheel drive vehicle, accommodation with heating and hot water. If you plan to go skiing, lots of coordination is needed with air force personnel because the resort timings can be a bit whimsical and ski equipment is not guaranteed. On our first day, we caught an early morning, 45-minute flight from Islamabad to Gilgit. Luckily the flight was on time, since it is notoriously unreliable and often cancelled due to the weather. This time of year, the flights are relatively more predictable than in the summers. After landing in Gilgit, we went directly towards Karimabad where we checked into the Serena Inn. Once we had settled in, we set out to explore Hunza. We enjoyed Baltit and Altit Forts which are about 2 kilometres apart – the view from Baltit Fort was spectacular. We ate dinner at the fabulous Kha Basi Café under Altit Fort amidst villagers going about their daily chores. 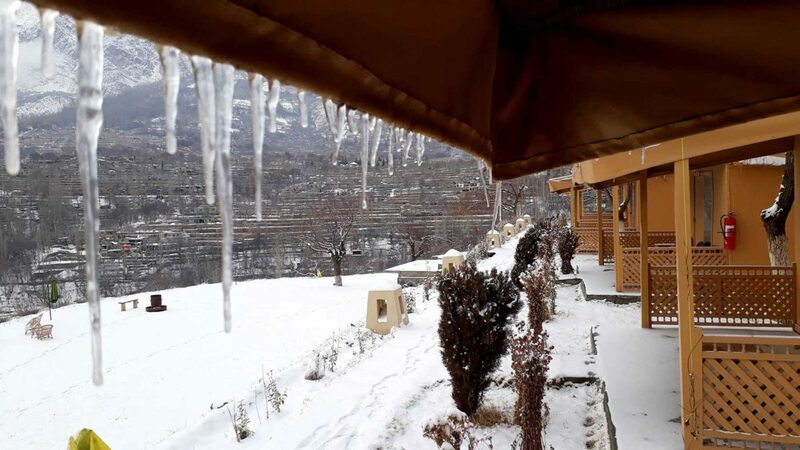 The café is tastefully decorated and run by very well trained women who prepare local organic dishes fresh on the spot in almond or apricot oil. This was one of the most memorable meals we had. We ventured to Khunjerab Pass on the Pakistan-China border. Due to heavy snow, there were several points where we thought we would have to turn back. Our four-wheel drive came in very handy. We stopped on the side of the motorway after crossing Gulmit and the kids had hot Dowdoo soup from a roadside restaurant while I trekked to the Hussaini suspension bridge and overcame my own fear of crossing it. We stopped at Attabad Lake on the way, which was frozen. We finally reached Khunjerab Pass where the weather was -30 C degrees! After returning to Karimabad, we found a local restaurant in the village where were we had delicious Hunzai food. After a late breakfast, we drove to Naltar Valley ready to ski. The drive took longer than anticipated and we reached about 11:30am, expecting 4-5 hours of skiing. 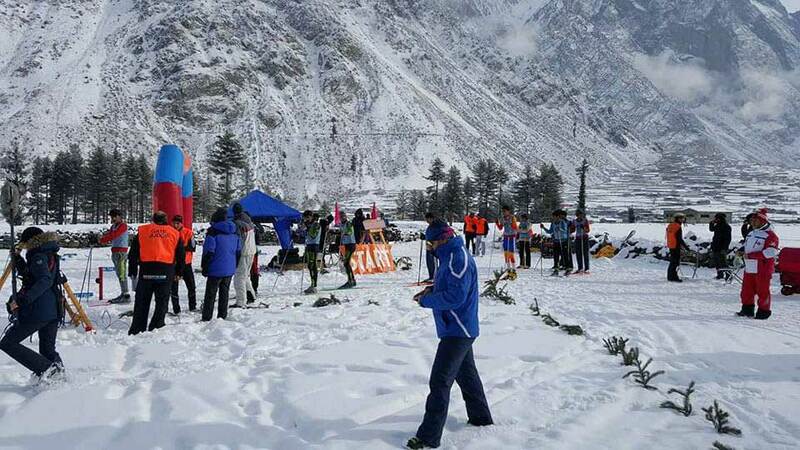 The Naltar Valley Ski Resort is run by the air force and we had to get special permission. It is not an organized tourist resort which predictable times of operation. We found out that they shut down the tow lift at 1pm so we only got about an hour of skiing on our first day on the slopes. It took a while to get the ski gear that is provided at the resort – you basically have to choose from a large closet which is not sorted by size, so there is some luck involved. Most of the people on the ski slopes were the local villagers who have become quite good skiers. We were determined to come bright and early the next day so we could get a full day in. 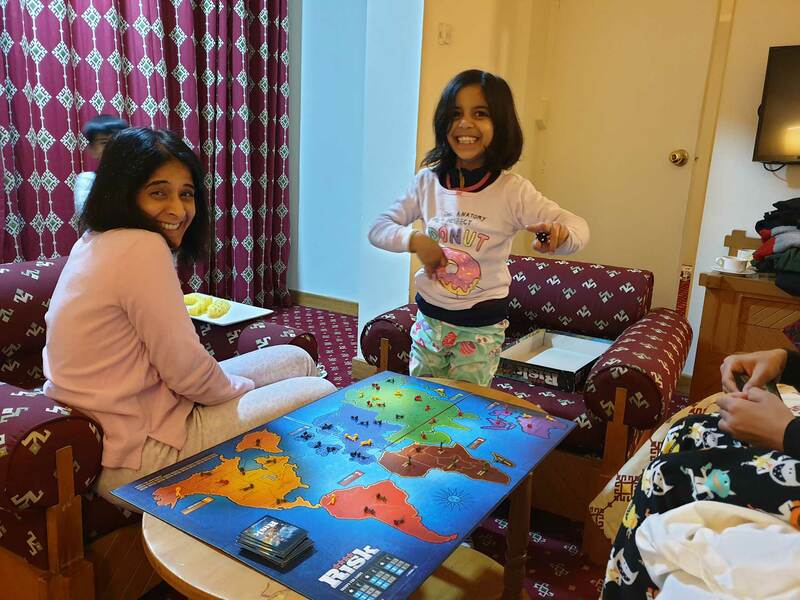 We drove back and checked in to the Serena in Gilgit, had dinner at the hotel and played a board game of Risk. We were up early, geared up in warm clothing, and drove back to Naltar Valley (around a 2-hour drive). However, it was snowing profusely and the drive was much more challenging than the previous day. The checkpoint on Naltar Valley Road informed us that we would not be able to go up because of the amount of fresh snow on the unpaved rocky road. Cars were having difficulty coming down. However, after analysing the situation and determined to get in the proper skiing that we came for, we braved it up the mountain and managed to get pretty close. We picked up a local villager along the way who was walking up the mountain. We eventually stopped about a kilometre before the resort and walked up the mountain to reach the tow lift. Much to our disappointment, the tow lift had been shut because of the heavy snow. However, the air force management was incredibly kind and opened the resort just for us. 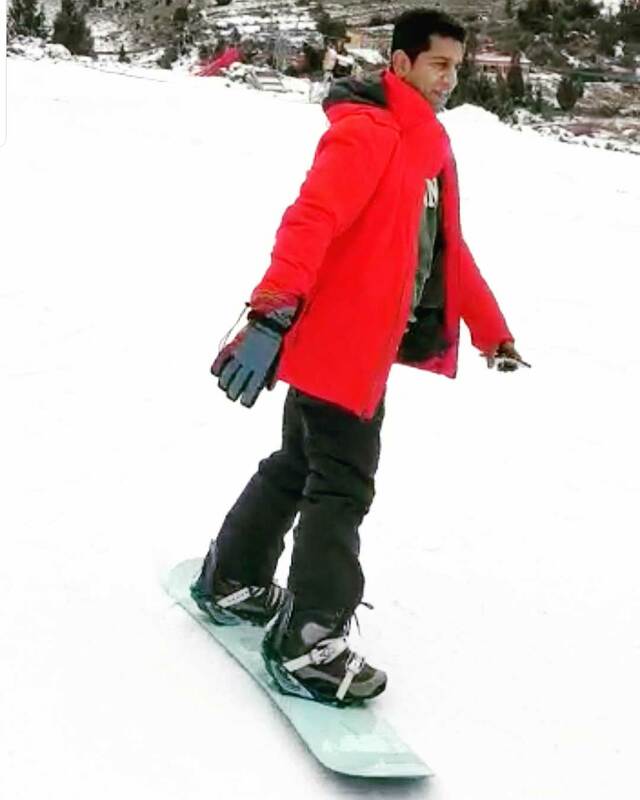 The five of us were the only ones on the slopes and about 15 personnel were assigned to us for ski lessons for Sarim (our five year old). As a snow boarder, I was lucky to find a snow board that was the right size in the “rental” closet and managed to navigate the tow lift which is a bit more challenging on a snow board compared to a chair lift. The next few hours were incredible. Fresh powder, completely empty slopes and dedicated support staff. We thoroughly enjoyed skiing at Naltar Valley. The drive back was challenging but we drove slowly and made it back in relatively good time.